The weather is finally warming up, and it's becoming even more important to protect your skin against the sun! 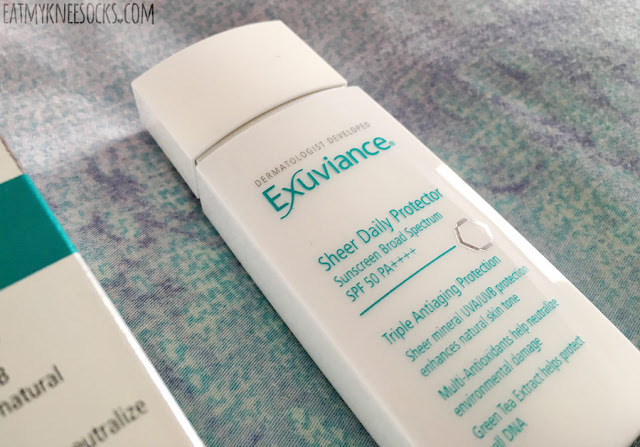 In light of this, I'll be reviewing my new favorite sunscreen: Exuviance's sheer daily protector! Full review ahead! 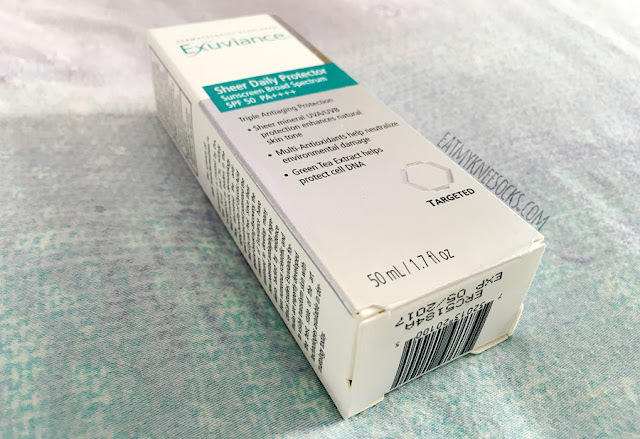 I'd previously reviewed Exuviance's bionic oxygen facial (review here) and had a great experience with it, so I was very excited to try out their sheer daily protector! I've been searching for a good sunscreen for a long time now. 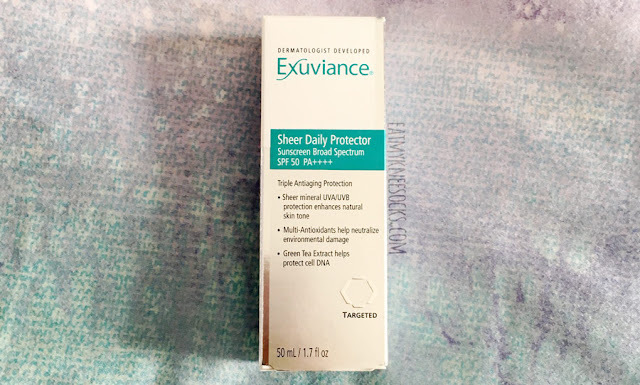 I'm terrified of getting breakouts on my face since my skin can be sensitive at times, but I've been using Exuviance's SPF 50 sheer daily protector without any problems! This ultra-light, sheer mineral daily sunscreen has broad spectrum SPF 50 and UVA/UVB protection to defend against environmental damage and enhance your skin tone. This sunscreen also includes green tea extract, which protects DNA to create healthy skin, along with multiple antioxidants like Vitamin E and lactobionic acid, which defend your skin from environmental factors that could cause premature aging. 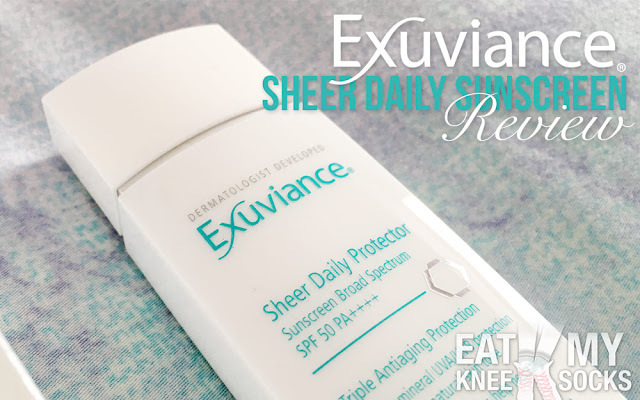 Unlike your average sunscreen, Exuviance's sheer daily protector has a super-sheer tint that smoothens and evens your skin. It has a more matte, makeup-like texture than regular sunscreen, and it's very lightweight. 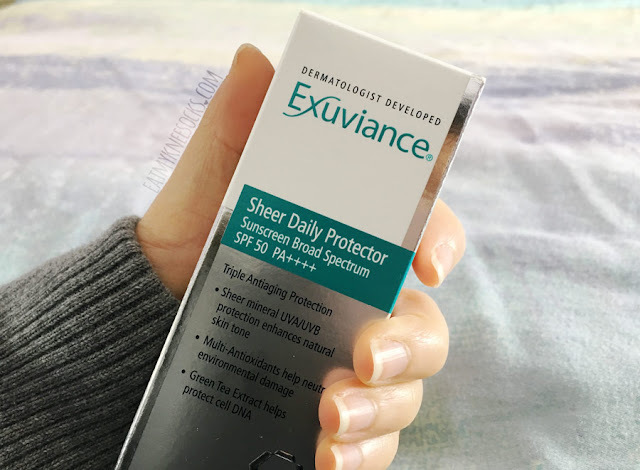 I'm honestly in love with this SPF 50 sheer daily protector from Exuviance; it's effective and lightweight, with just a bit of sheer coverage. Unlike some other sunscreens that I've tried, it doesn't leave a white cast on my face, doesn't get too greasy throughout the day, and doesn't cause any breakouts!